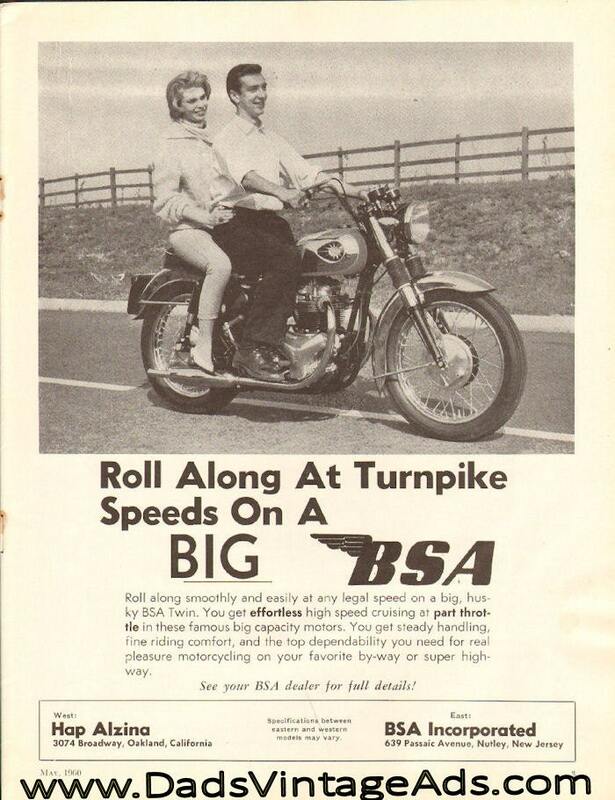 Roll Along at turnpike speeds on a BIG BSA. 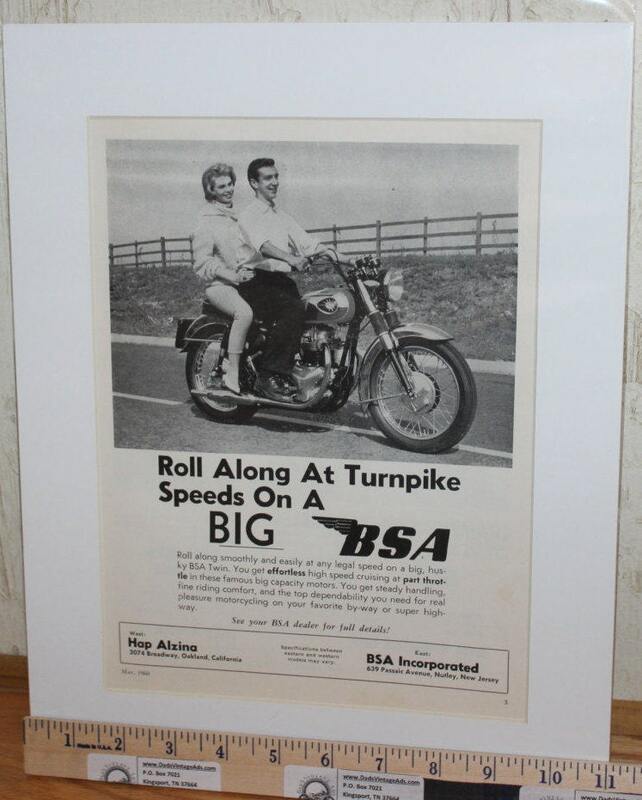 Roll along smoothly and easily at any legal speed on a big, husky BSA Twin. You get effortless high speed cruising at part throttle in these famous big capacity motors. You get steady handling, fine riding comfort, and the top dependability you need for real pleasure motorcycling on your favorite by-way or super highway.